A grand jury in Harris County, Texas (the county where Houston is located) has indicted two of the undercover videographers associated with the Center for Medical Progress, the group of citizen journalists who filmed undercover meetings with Planned Parenthood (PP) discussing the sale of fetal body parts. The grand jury had also been asked to consider charges against the local PP franchise, but did not issue an indictment. The official charging document has not yet been released by Harris County. But according to the New York Times, David Daleiden, the director of the Center for Medical Progress (CMP), has been indicted on a felony charge of tampering with a governmental record and a misdemeanor count related to purchasing human organs. Another CMP employee, Sandra Merritt, was indicted on a charge of tampering with a governmental record. The county has not reported what government records were tampered with. However, in their investigation, CMP posed as a biotech research business, Biomax Procurement Services, for the undercover investigation. The records may have been documents (government forms, identification cards, etc.) related to their sting operation. Why would CMP be charged with “purchasing human organs”? (a) “Human organ” means the human kidney, liver, heart, lung, pancreas, eye, bone, skin, fetal tissue, or any other human organ or tissue, but does not include hair or blood, blood components (including plasma), blood derivatives, or blood reagents. (c) It is an exception to the application of this section that the valuable consideration is: (1) a fee paid to a physician or to other medical personnel for services rendered in the usual course of medical practice or a fee paid for hospital or other clinical services; (2) reimbursement of legal or medical expenses incurred for the benefit of the ultimate receiver of the organ; or (3) reimbursement of expenses of travel, housing, and lost wages incurred by the donor of a human organ in connection with the donation of the organ. (d) A violation of this section is a Class A misdemeanor. While it is unclear which, if any, of the CMP videos were used as evidence, several of them do show Daleiden offering to buy fetal parts from PP as part of the sting operation. Under this Texas statute, Daleiden would have violated this section even if he had no intention of carrying out the actual purchase of the fetal remains. Why was Planned Parenthood not charged with selling fetal parts? If Daleiden offered to buy fetal tissue from PPGC and that particular franchise rejected the offer, then he would chargeable while they would not. The investigation into PPGC was carried out by the Harris County prosecutor’s office, the Houston police and the Texas Rangers (the law enforcement agency responsible for state-level criminal investigations). According to Harris County district attorney, Devon Anderson, the grand jurors reviewed the joint investigation for more than two months before clearing PPGC and indicting Daleiden and Merritt. Isn’t a member of the prosecuting attorney’s office on the board of directors at Planned Parenthood Gulf Coast? Yes. As Rob Bluey notes, Operation Rescue revealed last year a connection between the prosecuting attorney’s office office and Planned Parenthood. Lauren Reeder, a prosecutor in the DA’s office, serves on Planned Parenthood Gulf Coast’s board of directors, according to her LinkedIn profile. Operation Rescue urged the DA to appoint an independent special prosecutor to investigate Planned Parenthood. After the issuance of an indictment, the case moves to trial where the accused can then defend themselves against the charges brought against them before a petit jury (also called a trial jury). What does a grand jury determine in indictment? After hearing all the evidence, the members of the grand jury deliberate and take a vote on whether there is sufficient evidence of probable cause to justify bringing the accused to trial. At least 16 jurors must be present and 12 members must vote in favor of the indictment. Can a grand jury indict anyone they choose? No. The grand jury must be called by a prosecuting attorney who must also sign the indictment before the case can move to trial. This ensures a government check on a grand jury’s power. What happens if the grand jury doesn’t indict? If the evidence does not persuade the grand jury that there is probable cause to believe the person committed a crime, the grand jury will vote a “no bill,” or “not a true bill.” When this occurs, no trial is required for the accused person. Who presides over the grand jury? The prosecuting attorney. No judge or defense attorney is present. The accused also has no right to present their case. In some instances, they may not be informed that an accusation is even being made about them to a grand jury. If the prosecuting attorney decides to move forward on the charges, then Daleiden and Merritt may be able to accept a plea agreement or request a trial. A state trial would determine whether they would be convicted of a crime and what punishment they would face. 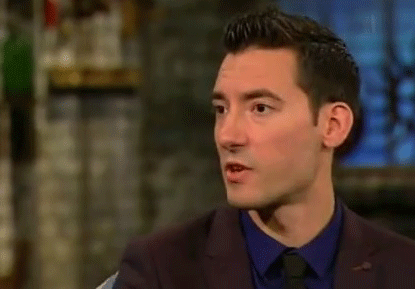 Why Didn’t the Planned Parenthood Videos Change the Abortion Debate?